Juan Carlos Mendoza was appointed as the Group Procurement Manager on May 4, 2015. He has thirty-five years’ experience in the mining and cement industry, with particular focus on procurement, negotiations and inventories management. His most recent position, prior to taking up an appointment at TCL, was as Procurement Manager (CEMEX) in Miami, Florida. Mr. Mendoza joined CEMEX on July 22, 1982. During his tenure, he was involved in Post-Merger Integration (PMI) in Australia and the USA, as well as Due Diligence (DD) in India, Gabon among other countries. 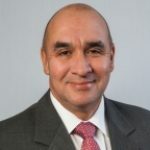 He has held several positions at CEMEX including Supply Planning Manager, Mexam Trade (Texas); Procurement Manager (Texas) and Manager: Purchases and Materials/Stock (Venezuela). 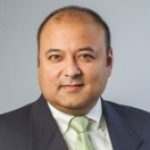 Mr. Mendoza’s key areas of expertise include Customs Law, Shipping Insurance, Material Coding and Classification as well as International Business.